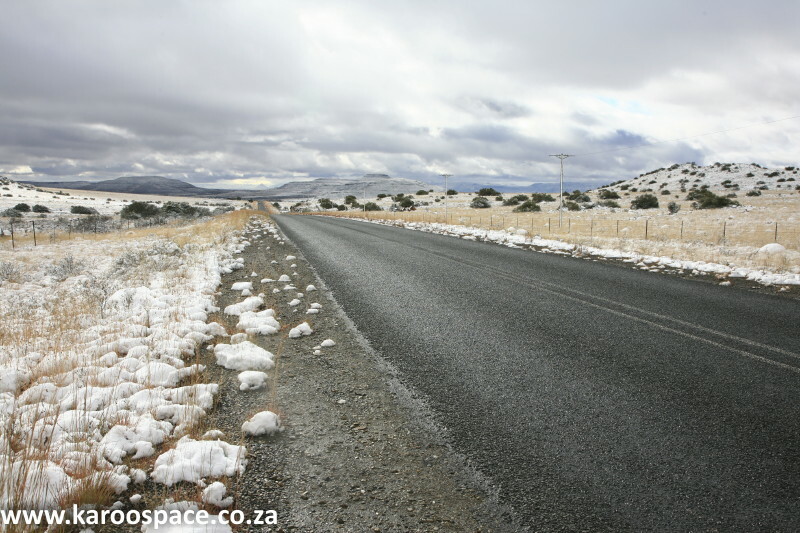 Past winter snowfalls on the Cradock – Hofmeyr road. 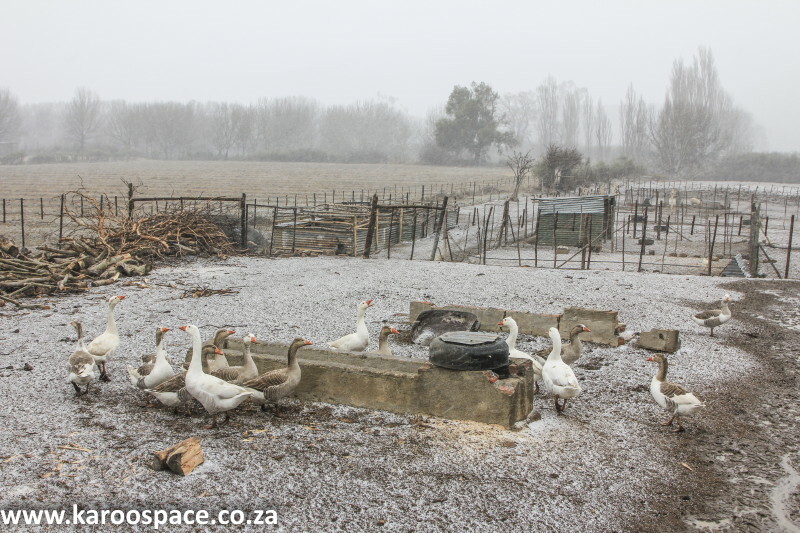 We’ve had some summer rain here in the Eastern Cape Karoo lately, and those folk in the know predict an early winter for our neighbourhood. Will it snow? No one’s saying yet. 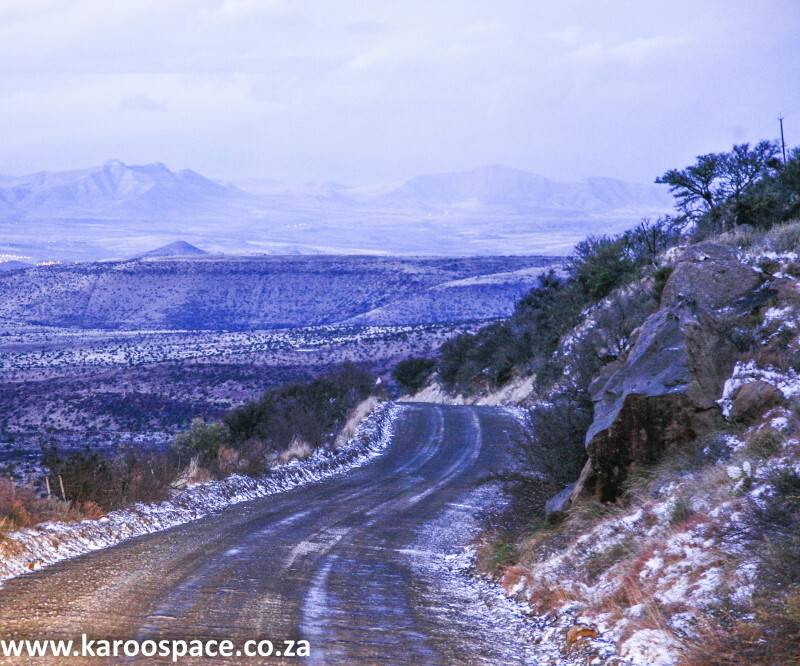 But allow me to let you in on a little secret: winter in the Karoo is a romantic, magical time. Sure, it’s cold. It’s bitter cold. That’s why we have nooks and crannies all around, on farms and in guest houses throughout the Karoo Heartland, where the fires are lit, the wine is poured and the company is pure joy. And the veld walking is superb: fresh air, wide open spaces, lots of stuff to see and do. 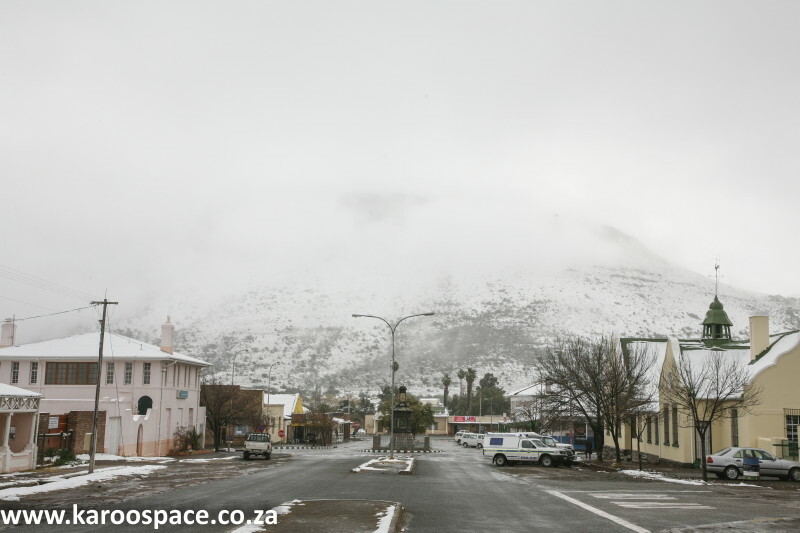 Here’s a modest gallery preview of some of our winters past – and we hope to see you in a month or so..
Coming down the Swaershoek Pass towards our home town of Cradock. Something like Alaska – downtown Tarkastad. 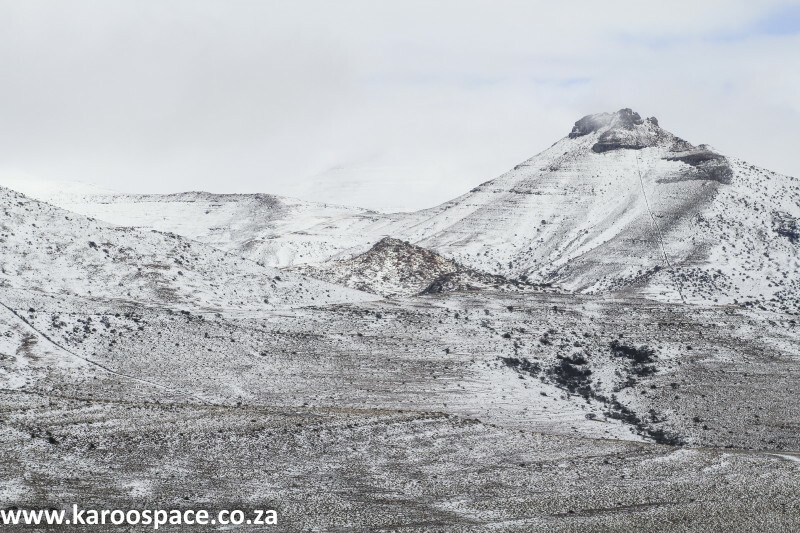 Snowscape shot in the Mountain Zebra National Park outside Cradock. 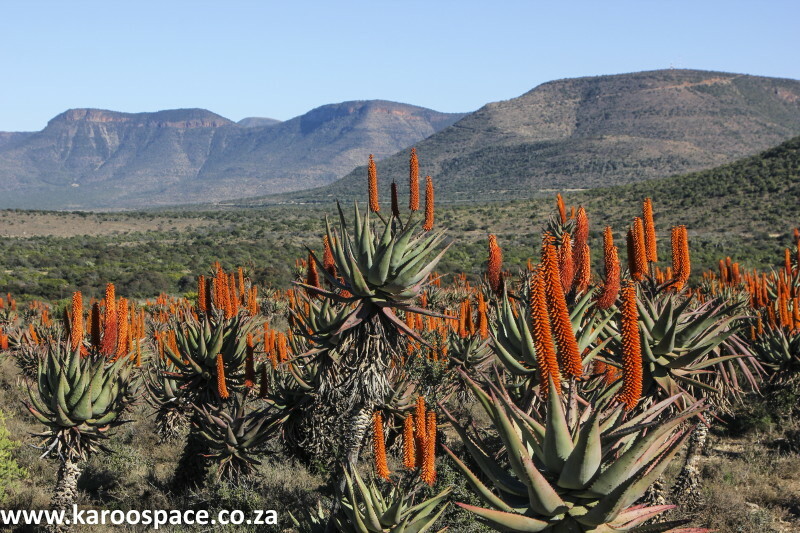 And even if there is no snow, the late-winter aloes never disappoint. 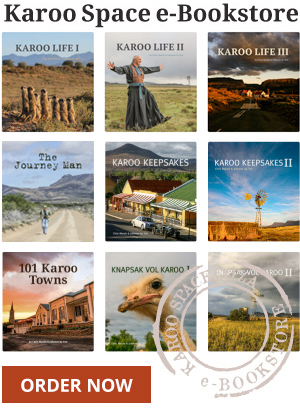 For more on this magical region, get hold of Road Tripper – Eastern Cape Karoo in PRINT FORMAT HERE or in EBOOK FORMAT HERE.